I’m back to share with you all a quilt I received to top quilt for a friend, I met on Instagram. Pam is such a wonderful lady, she’s always positive and supportive and devoted in her faith to God, she loves to quilt and has made all of her children special quilts for their birthday’s. 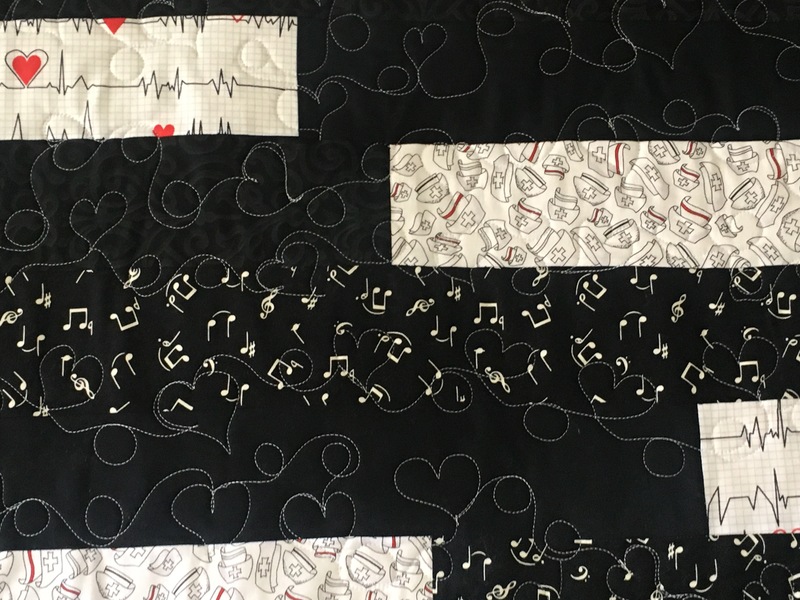 After she had seen some of my work on Instagram, she had some questions to ask me on how to prepare her quilt for her local longarm Quilter, I helped with answering her questions to the best of my ability. 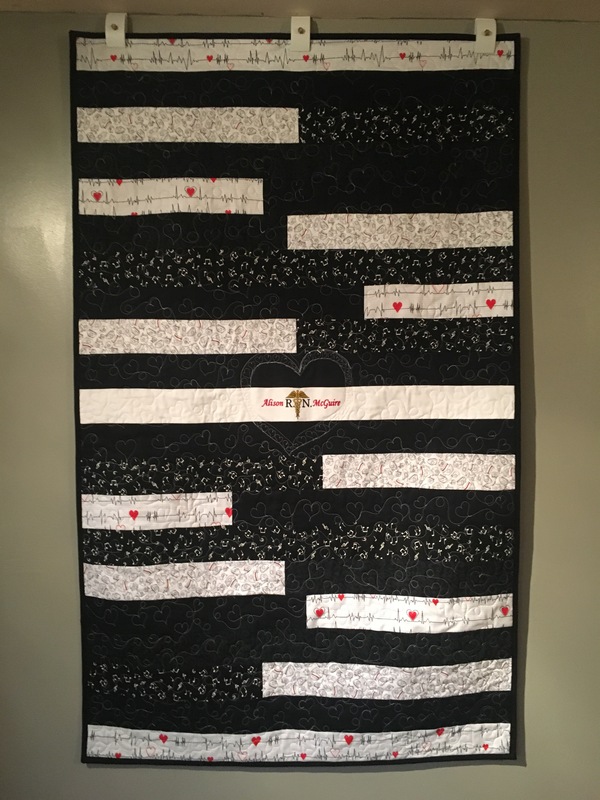 After she consulted with her Quilter and found out that her quilt would not be finished in time for her daughter’s birthday, she then contacted me and asked if I could finish her quilt in time, I said absolutely so she sent me this beautiful quilt she had sewn together to support her daughter’s career as a nurse. 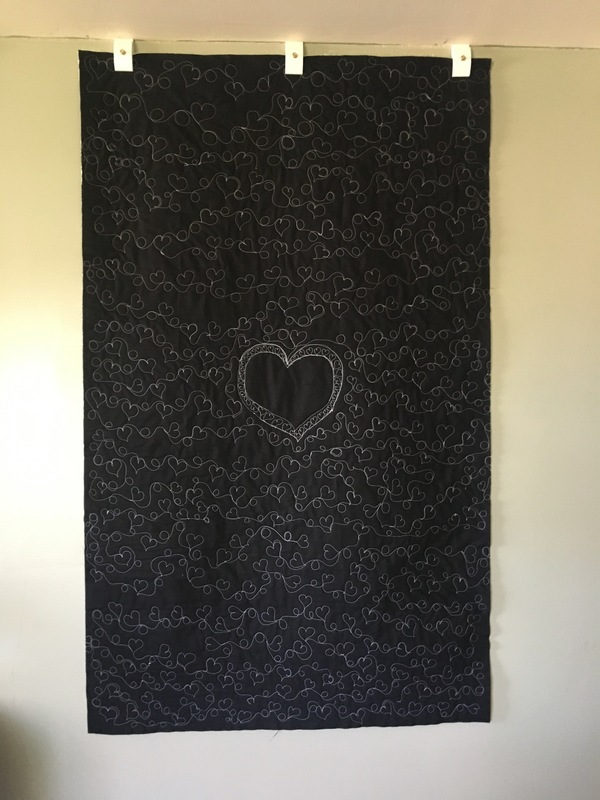 The center of the quilt has an embroidered RN insignia with her name, she wanted an all over design so we came up with swirling hearts, I top quilted hearts everywhere with a large echoed heart in the center and finished it off with black binding for her, it turned out beautifully. 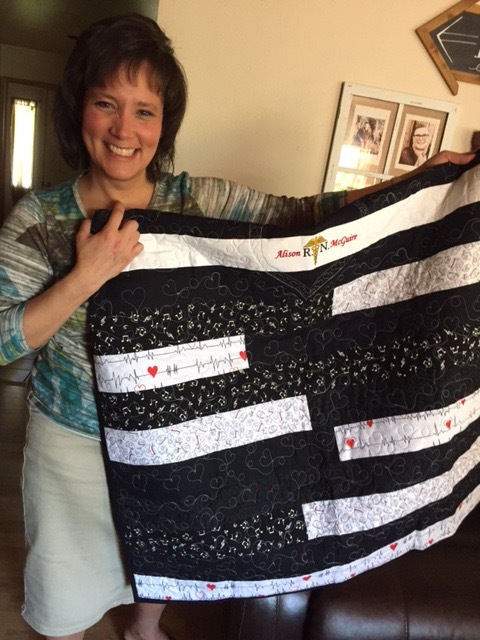 Thank you Pam, for trusting me with your special gift for your daughter it was a lot of fun to quilt. Until next time have a Sew happy day!